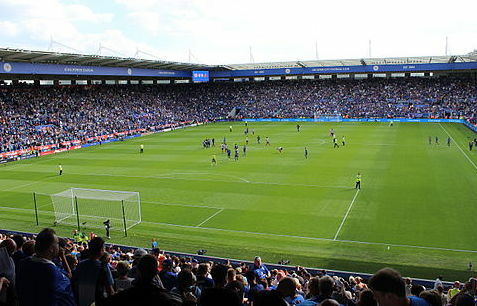 Leicester City have been revealed as one of the most valuable football clubs in Europe, with an enterprise value (EV) of €596m (£523m) according to the latest KPMG Football Clubs’ Valuation report. This makes the Foxes’ valuation the 15th highest in Europe, the seventh highest in England, and represents a 29% increase on last year in Euros and a 35% increase in sterling and places them above the likes of AC Milan, Everton, Inter Milan, Roma and Ajax. Unsurprisingly, Manchester United came top of the list once again, with a valuation of €3.2bn which puts them ahead of second-placed Read Madrid and FC Barcelona. The 32 ranked teams have a combined enterprise value of €32.5bn, up 9 per cent on last season. KPMG’s global head of sports Andrea Sartori, the report’s author, says: “Despite this year’s (overall aggregate) growth being lower than last year’s 14 per cent growth, the football industry continues its rise. “Overall growth is driven by different factors, one of these being the increase of operating revenues of the top 32, at eight per cent.